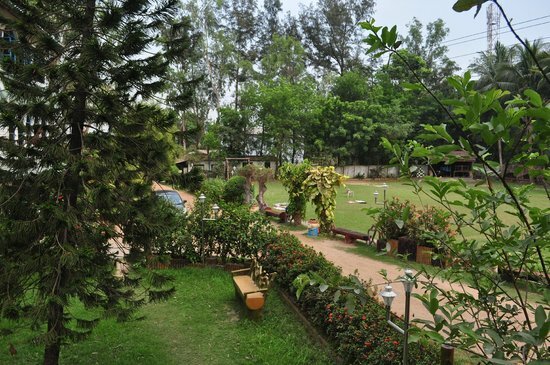 If you are looking for a rural escape, away from the bustling city life, then you can make a tour to this small village of Deulti, nestled amidst a serene ambience. 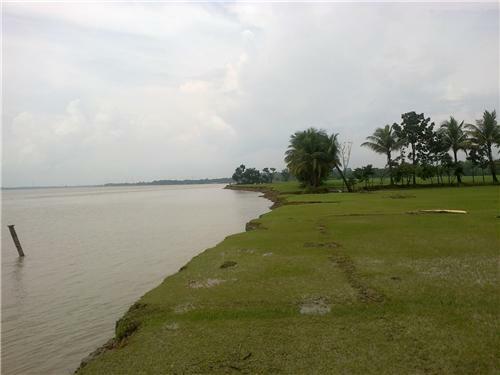 This peaceful retreat is located about 6 kms towards the western part of Bagnan, in the district of Howrah in West Bengal. It is a perfect holiday destination, cradled on the bank of River Roopnarayan. Deulti attracts tourists round the year, though it is good to avoid the monsoon season for River Rupnarayan may get flooded. The summers are also quite harsh. Winters would be the best time to visit Deulti. Deulti is rich with its heritage and culture. The neighboring village of Deulti called Samtaber is popular among the tourists for being the abode of the famous author Late Sarat Chandra Chattopadhyay. 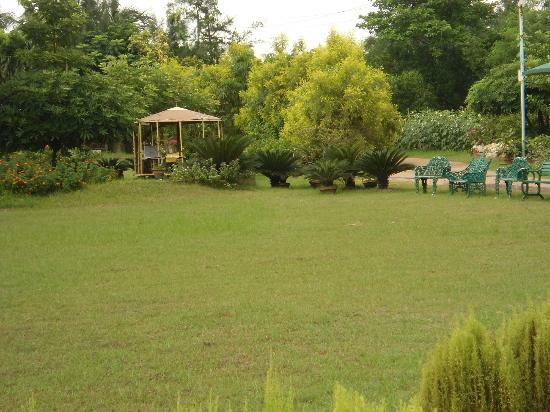 You will truly be amazed by savoring the panoramic view of the natural surrounding of this serene village of Deulti. The charming calls of different kinds of birds from behind the foliage will offer you great pleasure. You will also enjoy a stroll along the narrow clay path cutting through the paddy field that will lead you to the bank of river Rupnarayan. 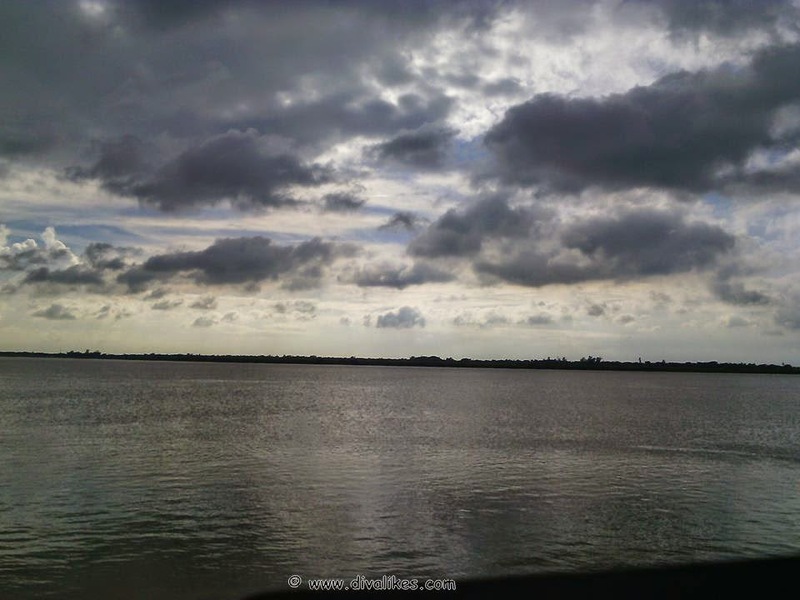 The mesmeric view of the River Rupnarayan will definitely captivate your mind. You can also visit the temple of Radha and Madanogopal, beautified with terracotta decoration. This ‘atchala’ or eight-roofed temple was constructed in 1651 AD by the Zamindar of Mangalhat Pragana, called Mukundaprasad Roychoudhury. You can enjoy a nature walk along the clay pathways of this small village. Interaction with the locals of Deulti is also quite interesting, for they can enrich your knowledge about the history of the place. 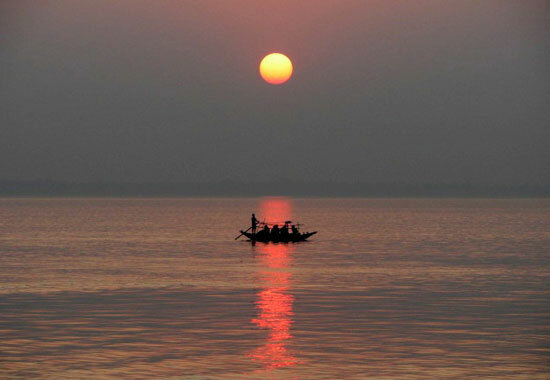 You will become oblivious about time, while sitting on the bank of River Rupnarayan, offering a visual treat.